I have been working on a 3D model of the original badge from Blade Runner. I know there have been runs of these before, so I used those as my inspiration, as well as some blurry stills of the beat cops arresting Deckard with Gaff. It is simple for ease of 3D printing, and hopefully captures the spirit if those that already have been made, rather than is an attempt to copy. What do you think, too simple, or a good compromise? I am working with someone who can cast with metalish resin once I am 100% with it, and also plan to upload to thingiverse and shapeways to make it accessible to anyone that wants one. I am also working on a Deckard photo for the center, I dont want to use anyone's design without permission so I figured I would start from scratch. Appreciate the feedback! I'm still tinkering with it, but got the general layout done and wanted to share! Scaled the size a bit since I got my wallet today...what do you think? Looks great! Have to check my references for proportions, etc. Very impressive. Do you plan on post processing to remove the print lines, etc? 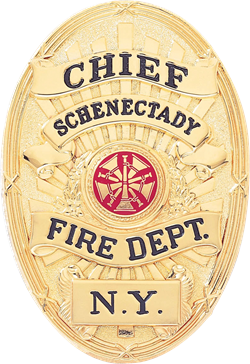 If you contact badge companies, some may even have the badge blank and bezel that you can put the photo in already plated. Been too long since I looked for these, and many of the companies have changed their product lines though, and I couldn't find the exact match any more. Not sure if this helps or scuttles the project, but the info I feel needs to be out there. It will get cleaned up and cast by someone im working with. As far as design, this seems to be what people call the "film" style. The beat cops badge looks an awful lot like what people speculate Deckards too. Circled in red...right around 48 min in when talking to the Egyptian, you can clearly see the oval shape in a brass color. 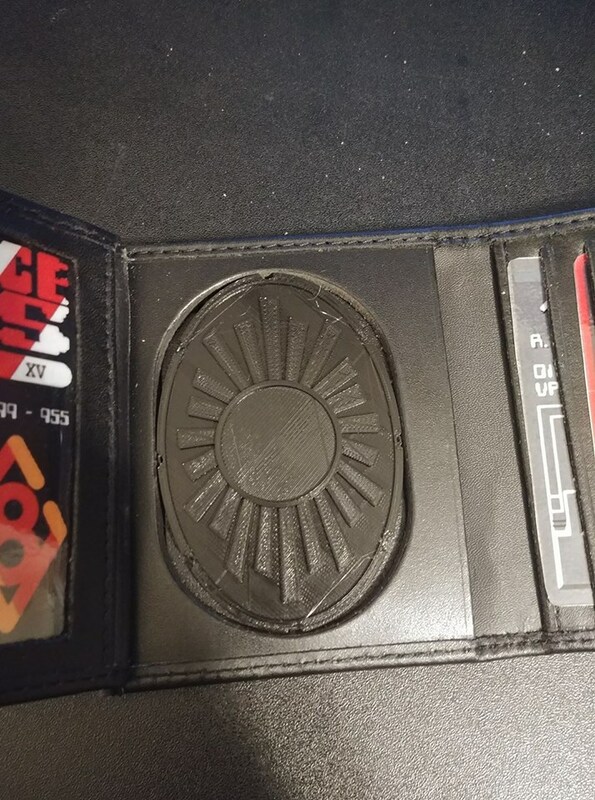 I watched the Egyptian scene over and over and the way he unfolds his wallet is exactly the same as my badge wallet, not like a regular trifold. I'd love a few people to double check me because I'm not trying to set anything in stone...I know our minds can see what they want, but I swear I saw the shape of the badge. Forgive the interruption, but was that conclusion that there was no badge at all or no badge that can be seen? If the former, why then would Dec have unfurled his entire wallet in front of the Egyptian? In that scene, he was acting as a regulator/inspector and arguably needed to show both his ID and badge. 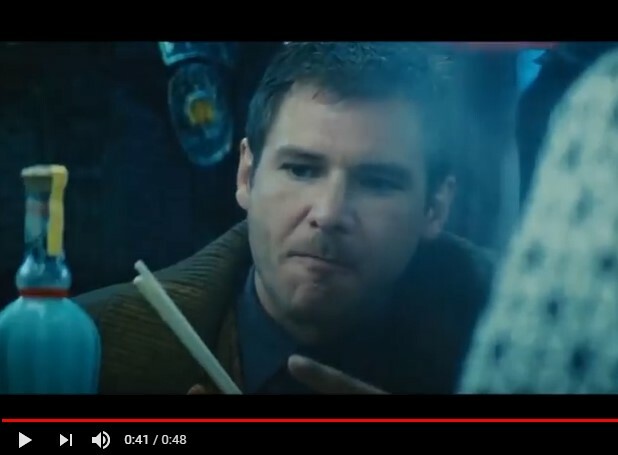 In all of the other scenes the wallet is shown, where he only displays his ID, he’s confirming his identity to other police. He doesn’t need to show the badge. 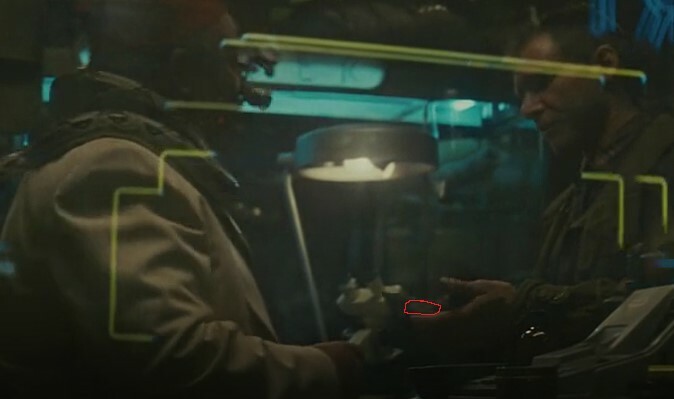 I think that marcuslaw has something here...seeing the last entry on that "wallet story" it seems that, and looking at the thickness of the wallet itself, it must contain a badge (albeit, never clearly seen in the movie). I watched the scene again close up frame by frame, and saw a bright reflection off both the third back flap of the wallet, which is black/brown leather, as well as the middle flap, and the reflection off of the middle flap lasted for about a frame and a half showing no actual shape of the reflection. No real proof one way ore the other. I agree that the existence of Dec's badge will not be settled until the wallet surfaces like the blaster at Worldcon. For my part, I prefer the look of the badge worn by the officer next to Gaff and the one made by Phil S. It has a more Noir feel to it than the more modern, shiny LAPD variety. Same, which is why I Wanted to make something rather than by the "modern" style off ebay! I will have it on thingiverse once im done tinkering in case anyone wants to mess with it further...and can PM anyone the .obj file if its easier to work with if needed. Ha, I thought this was settled but here we go again lol.